Compassionate Curmudgeon & Radical Business: Coal Miners’ Daughters Living on Welfare? Coal Miners’ Daughters Living on Welfare? Despite President Trump’s campaign pledge to bring back coal, demand has dropped and mines have been closing, especially in those Appalachian states of West Virginia and Pennsylvania. Forty percent of US coal production is in Montana and Wyoming (Powder River Basin) because they have the ‘right kind’ of coal. Coal industry employment peaked in February 2012. You’d think that the nice long economic recovery since 2009 would jump demand for coal and that would require more people. It hasn’t. It’s the lowest in 39 years. More than half of the coal mines have closed in the last 10 years. Though there was an increase in production during 2017, demand was down so that may have created a surplus and that may have contributed to the less efficient mines closing. 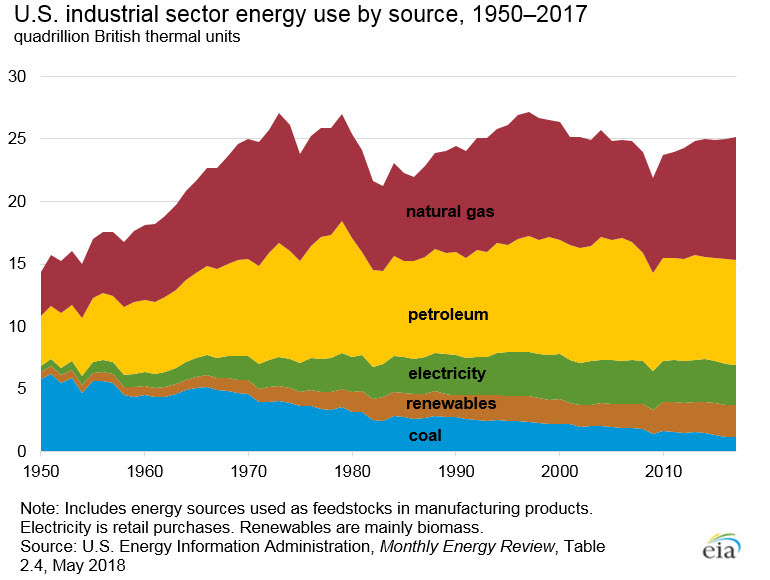 What has happened is that more BTU’s are being produced through natural gas and petroleum products than coal—by a wide margin. Unless that changes, the coal industry is stuck. The lesson in this is not campaign pledges but watching overall economic and market trends. Government policy can only influence but not change what’s happening. Tax law changes in 2017 created a windfall in cash for corporations last year. It did not spur the expected boon in employment and capital good investment. It spurred stock share repurchases. Companies are not going to hire or build production lines with new equipment if the demand isn’t there. The coal industry didn’t see an uptick in demand; there was no reason to hire more workers. If your industry has indirect competitors (e.g. all beverage suppliers, not just soda producers), you definitely want to watch the macro-trends in your marketplace. Take care and keep an eagle eye: maybe do the 50,000-foot view instead of the 30,000-foot strategic plan. Royal Dutch Shell famously does longer plans than 5-10 years...and despite continued competition from alternative energy sources (and coal), it’s doing well.